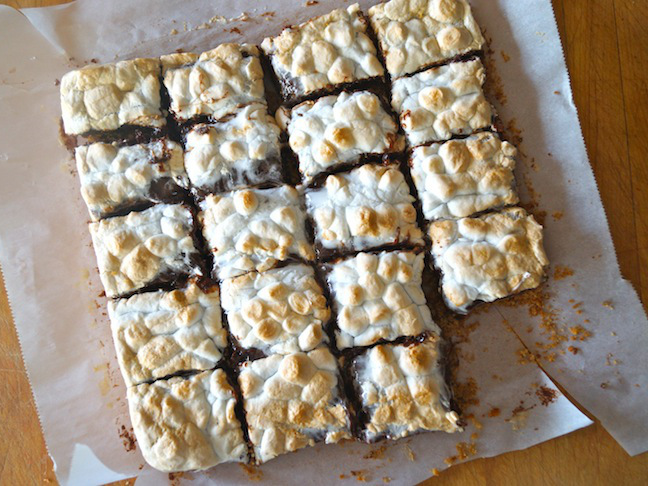 As far as I’m concerned, s’mores are as much a summer food as watermelon. I would be hard pressed to find any form of a s’more I didn’t love. Wouldn’t you!? 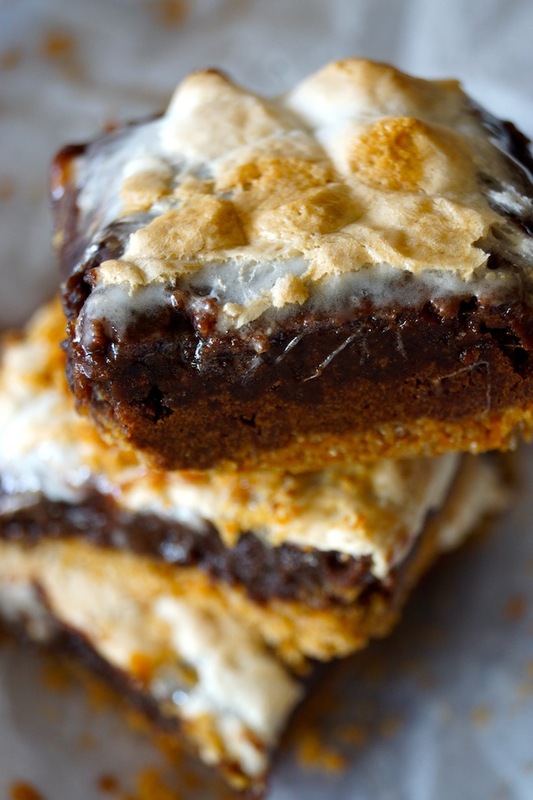 I’ll take them messy by a campfire, in a granola bar, and in a Rice Krispies treat—or with a touch of salted pretzels, neatly layered into these over-the-top-delicious brownies. 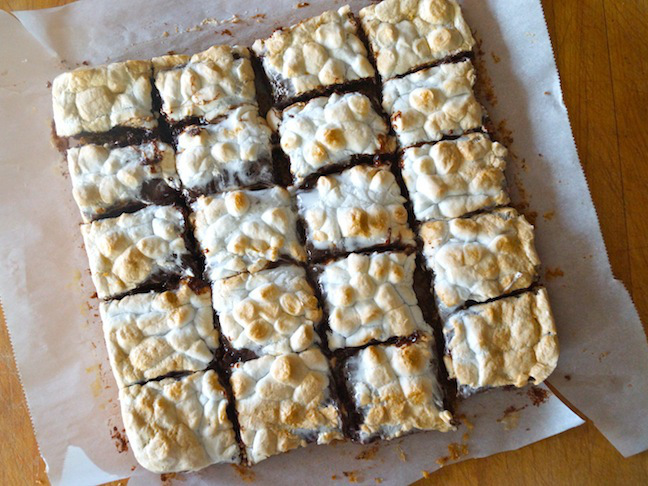 Bring these s’mores brownie bars to any barbecue this summer and you’ll wow all of the guests—kids and adults alike. I would be hard pressed to find any form of a s'more I didn't love. Step 1: Preheat the oven to 375 degrees and adjust a rack to the center. 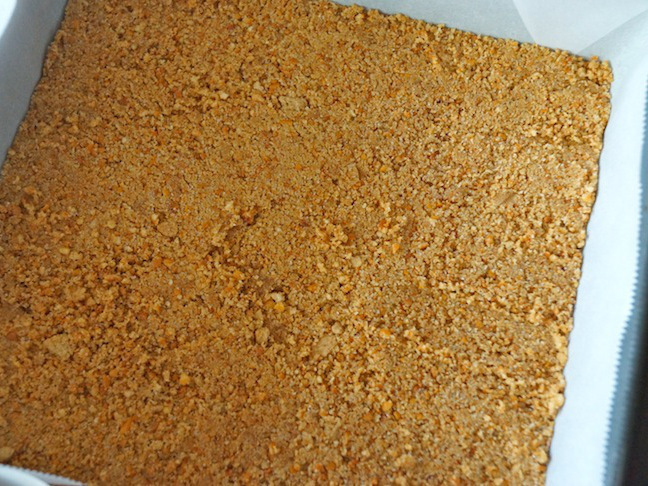 Step 3: Add the pretzels and graham crackers to a food processor fitted with the blade attachment, and blend until they're a fine powder. Pour this into a medium-sized mixing bowl. Set aside. Step 4: In a small saucepan, melt 4 ounces (1 stick) of the butter, and then add it to the graham-pretzel mix, along with 3 tablespoons of the sugar. 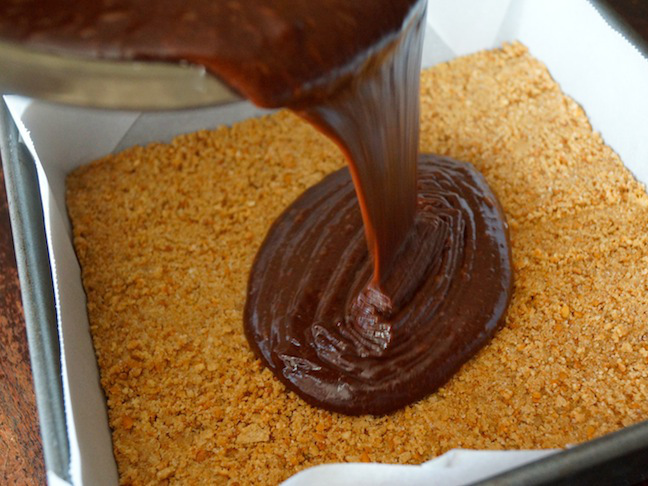 Mix to blend and then pour it into the prepared baking pan. Use a flat bottomed, small spatula to evenly press it into the pan. Step 5: Melt the chocolate and remaining 4 ounces (1 stick) of butter together in the top of a double boiler over hot water on moderate heat—or in a heavy saucepan over very low heat. Stir occasionally until the chocolate and butter are melted. Remove from the heat, and set aside to cool to room temperature. Step 6: In a large bowl, use an electric mixer to beat the eggs with the vanilla and remaining 1 cup of sugar at high speed for about 3 minutes. On low speed, add the cooled chocolate mixture and beat only until mixed. Then add the flour, and again, beat only until mixed. Pour this mixture directly on top of the crust. Step 7: Bake in the preheated 375 degree F oven for 15 minutes. 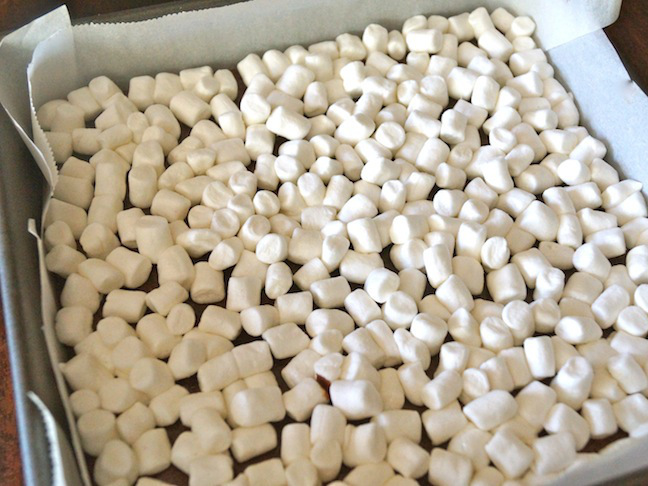 Step 8: Add the marshmallows, in an even, single layer, to the top. Step 9: Then return the pan to the oven for another 10 to 15 minutes, until it's golden. Step 10: Let the brownies cool in the pan for at least 30 minutes, and ideally a couple of hours. Use the edges of the parchment paper to gently lift them out. 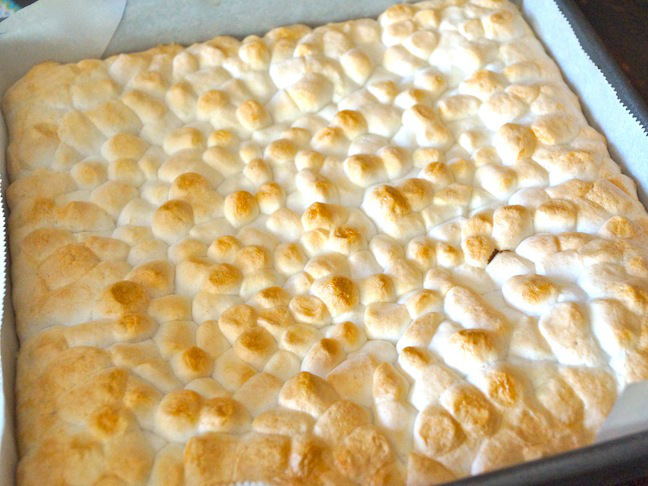 Slowly pull down the parchment paper from the sides, and then cut into approximately 20 even pieces.